"I don't think there's been any major shift in the medical profession's general approach to new ideas. I don't think there ever will be that kind of wholesale change. 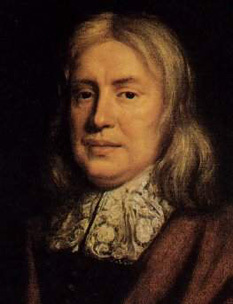 Three hundred years ago, when the major disease was smallpox, Sir Thomas Sydenham [1624-89] developed a new treatment that reduced the death rate from about 50 percent to 1 percent or 2 percent. His reward was being challenged to a duel. The English medical association wanted to drive him out. He wrote: "A new idea is like a sapling in the middle of a road, and if it's not fenced in, it will be galloped over by the trampling hordes." That's a really great statement, and it's also my view of what happens to medical discovery." -----Abram Hoffer, MD, PhD 1997 Interview by Peter Barry Chowka. The famous Dr. Sydenham, of England, called smallpox ‘the most safe and slight of all diseases as long as no mischief be done by either physician or nurse’, which is significant indeed. In olden days people died not of smallpox but of the treatment that was given to them.